Nifty opened flat to positive but moved up with each passing hour to touch the highs around 6860. Profit booking saw the index dip towards 6825 but short covering rally during the dying minutes saw the index close at 6840.80, gain of 25.45 points. The broader market was flat to positive, with 764 advances to 738 declines. Expected range for the next few days is 6700-7000. Call option 6900-7400 added 18.99 lacs huge amount of OI with small short covering seen at 6700 strike price. Put option 7000-6300 added 22.90 lacs huge amount of OI. Nifty Open Interest is at 1,40,91,250 up by 45,17,050, whereas April series shed 18.85 lacs with increase in price, most probably 100% roll-over with huge long build-up. Bank Nifty Open Interest is at 12,84,225 up by 4,11,925, whereas April series shed 5.59 lacs with increase in price, most probably roll-over with small short covering. FII’s bought huge 24.98 lacs Futures, mostly long build-up (includes 178261 longs to 128299 shorts for the day) and the average price per contract comes to around 6869.70. FII’s future open contract as on date is 277282. 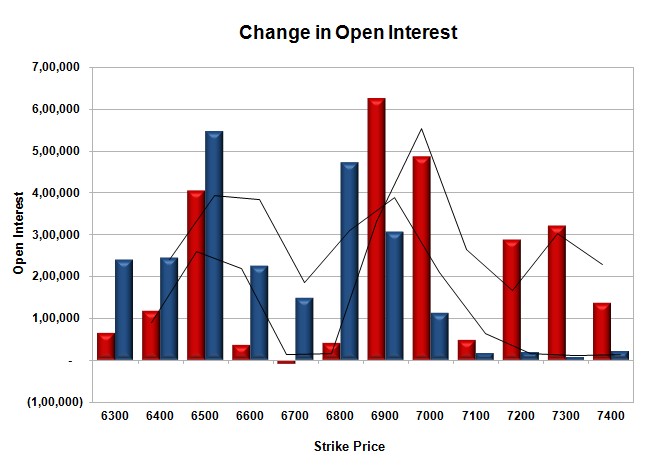 PCR Open Interest (Volume) at the start of the series is at 1.023. 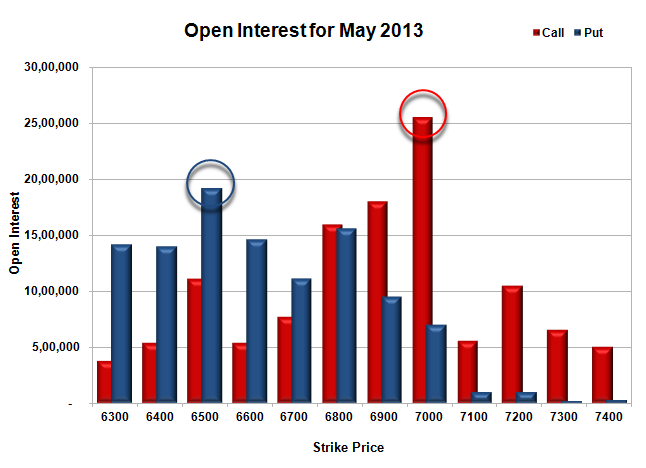 Initial support at 6800, with huge addition of 4.71 lacs for the day and below that at 6700 with OI of 11.14 lacs. Initial resistance at 6900 with OI of 18.02 lacs and above that at 7000 with highest OI of 25.57 lacs. 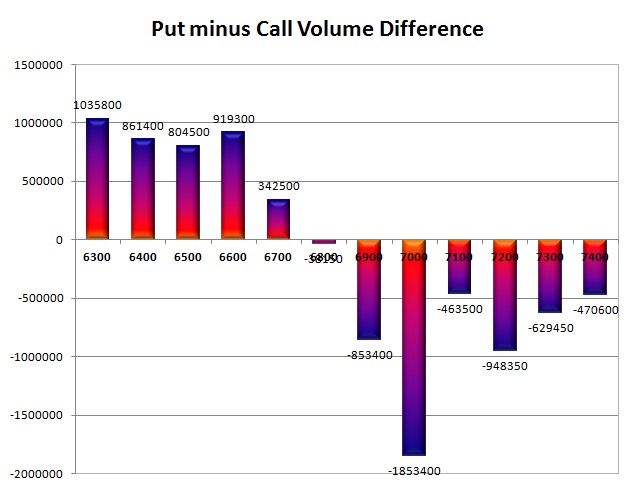 Day Range as per Option Table is 6793 - 6888 and as per VIX is 6729 - 6952 with 6841 as the Pivot.